With 80% of the global almond supply coming from California, having accurate information is crucial for the entire industry. Therefore, in 2010, when California almond growers and the Almond Board of California (ABC) felt that estimates of almond acreage provided by the National Agricultural Statistics Service (NASS) were too low, they sought out an innovation from Land IQ — an agricultural research company based in California that combines land-based agricultural science with spatial technology to offer innovations for agricultural challenges. Land IQ responded in kind by developing the California Almond Industry Map (CAIM). When creating this tool, the scientists at Land IQ first wanted to ensure the almond acreage being reported was accurate. To do this, they obtained a variety of images through remote sensing, such as satellite imagery. The images were defined by the crop types shown, then validated by ground truthing. This involved three researchers, who drove thousands of miles around California, identifying crops and collecting location data. 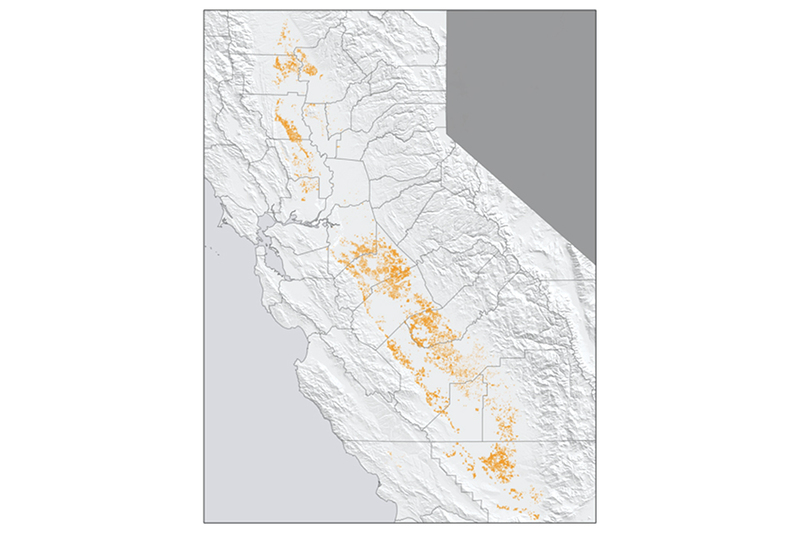 Using both the remote sensing and ground sensing data, Land IQ trained computer algorithms to identify almond acreage. Finally, the researchers tested the computer algorithms’ ability to classify orchards that the researchers knew were almonds as a result of their ground truthing. Validation proved the tool to be 98.8% accurate in identifying almond orchards. With the almond acreage data in hand, Land IQ proved that previous acreage estimates were at least 10% too low. “We wanted to get the acreage right in the first place, then integrate age, location, and environmental and water supply variables to develop an accurate almond yield forecasting tool,” Joel Kimmelshue, Land IQ Owner and Principal Scientist, says. Determining an orchard’s age is easier once orchards are three years or older and gain a distinctive canopy. However, at one or two years, the computer software finds it hard to differentiate between trees of different types. Much of the data for non-bearing acreages comes from experience and ground truthing rather than imagery. However, by noting the identity of young orchards while on the ground, hopefully computer algorithms can learn better in time. Helping to make better-informed decisions is the Almond Yield Forecasting Tool (AYFT), which takes into consideration orchard acreage, age, location, and environmental conditions to forecast yield. Recharge, and have helped spark further discussion about how working almond orchards can play a role in water sustainability plans. 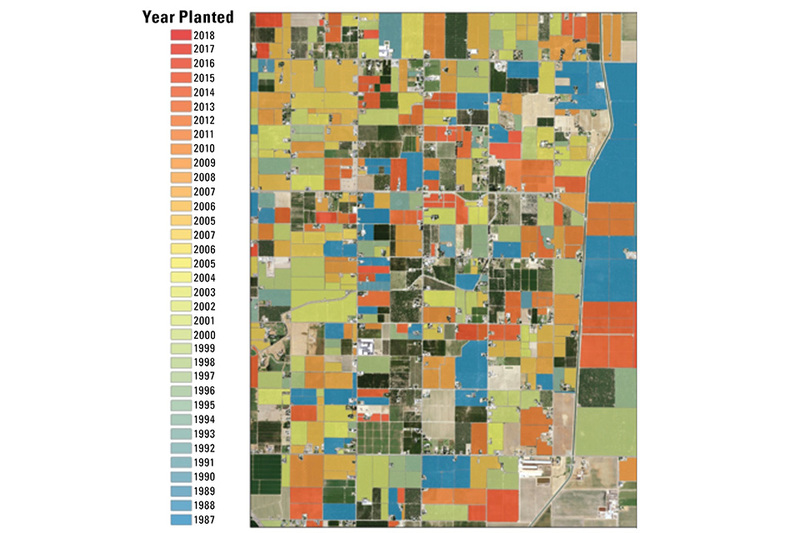 The technology used to create these maps isn’t only helpful for almond growers, however. Land IQ has completed and is continually expanding statewide mapping for other nut crops in California such as walnuts, pistachios, and pecans and is beginning this process throughout the U.S.
“We’ll never try to replace NASS, but we hope that our tools can complement the work done by NASS,” Kimmelshue says. While analysis of the maps is available to anyone via the ABC, the CAIM is also available online, putting the decision making in the hands of those who have their feet on the ground in orchards. 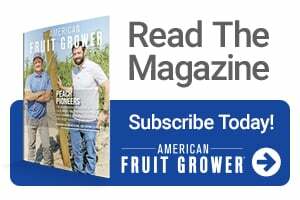 From a starting point of trying to determine the accurate acreage of almonds in California, Land IQ and ABC are helping the almond industry answer the tough questions that face an ever-shifting agriculture climate. 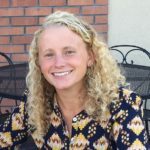 Oudman is a recent graduate with a Master’s Degree in Plant Pathology from Michigan State University. Prior to her graduate research, Oudman worked on various fruit and vegetable operations in South Dakota, Texas, and Michigan. She and her husband are now farming vegetables and fruit in southwestern Wisconsin. See all author stories here.